Many of us need a bit of extra help to continue reading or enjoy services because of visual impairment. There are a number of ways in which libraries in North Lanarkshire provide that bit of extra help to customers and the majority of these services are free. We have software such as JAWS on some of our public access PCs in the four Logintolearn Centres to enable easy use of internet and other programs. The centres are in Coatbridge Library, Cumbernauld Library, Motherwell Library and Wishaw Library. If you can’t come to a library due to illness or disability, then we can deliver books to you at home through our Home Delivery Service. 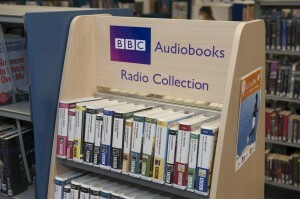 Our BorrowBox eBook and eAudiobook app lets you adjust font types and sizes and change the colour of your back screen. We can also help if you are interested in setting up a book group for visually impaired people or if you have a group who would like to come and use the library for their meetings. If you need further information just contact us by using one of the options in the Contact Us box.